Sri Lanka\'s beleaguered former leader Mahinda Rajapaksa will try to pull off a shock political comeback in elections. COLOMBO: Sri Lanka's beleaguered former leader Mahinda Rajapaksa will try to pull off a shock political comeback in elections Monday that he hopes will propel him to the premiership, months after being toppled as president. "I would have retired if they were doing a good job," the 69-year-old said in one of his last addresses before Monday's elections to the 225-seat national parliament. "I was forced to return to politics because the governmen is messing things up." Rajapaksa governed Sri Lanka for nearly a decade and was South Asia's longest-serving ruler before his surprise defeat to Sirisena in a January 8 presidential election. Sirisena had been the secretary general of Rajapaksa's United People's Freedom Alliance (UPFA) as well as being health minister before he split to run for the presidency. 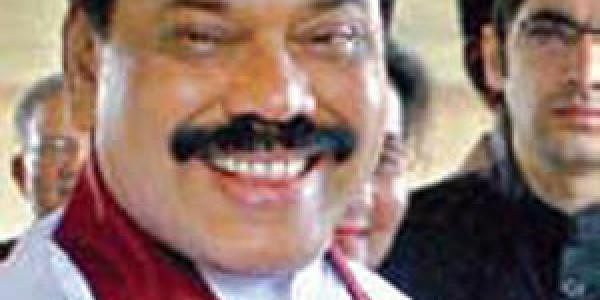 Rajapaksa is hugely popular among big sections of the ethnic majority Sinhalese community for presiding over the crushing defeat of Tamil guerrillas in 2009 after their 37-year campaign for a separate homeland. But he is also reviled by many Tamils who voted en masse for Sirisena in January after boycotting previous elections. Observers say Rajapaksa's polarising personality will undermine his chances of forming a coalition, especially as any potential prime minister would likely need the backing of minority groups. Although there are no reliable opinion polls, no single party is expected to win a majority. Charu Lata Hogg of the London-based Chatham House think-tank said Rajapaksa's entry into the fray has "definitely complicated the complex political scene" but said he would struggle to find allies.